The legendary brawler Jack Dempsey has signed this Everlast boxing glove. 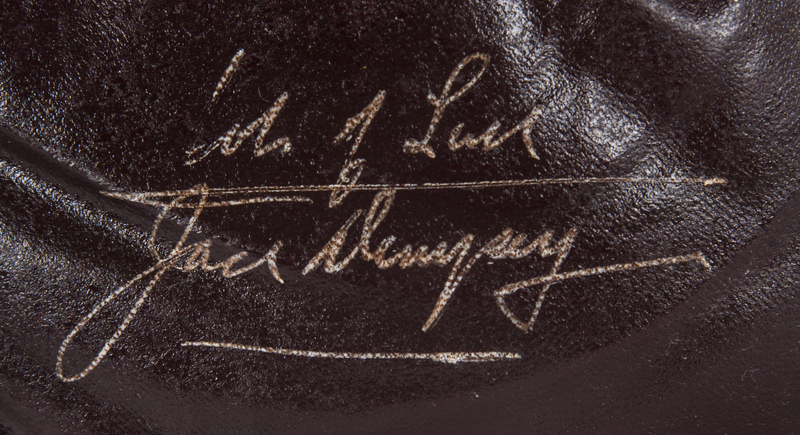 Dempsey was a star in the early 20th century, compiling a career record of 54-6 from 1914 through 1927. 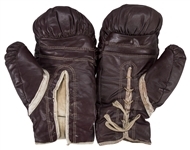 Dempsey’s shocking punching power set him apart from the rest of his compatriots, and his natural charisma made him a great star of the Roaring Twenties. 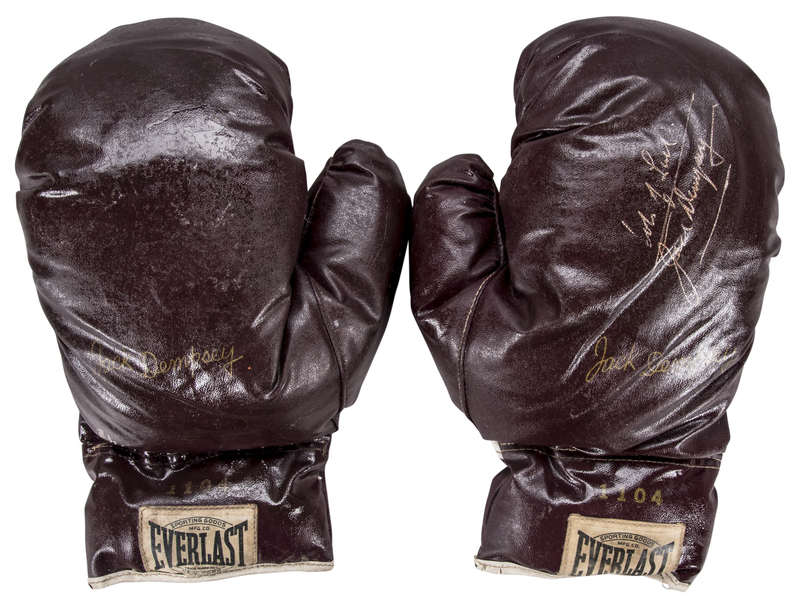 Dempsey has signed this offered Everlast glove in gold pen. This glove is paired with an unsigned Everlast glove, both bearing Dempsey’s yellow facsimile signature. Please note that both gloves have been coated with shellac or a shellac-like substance. 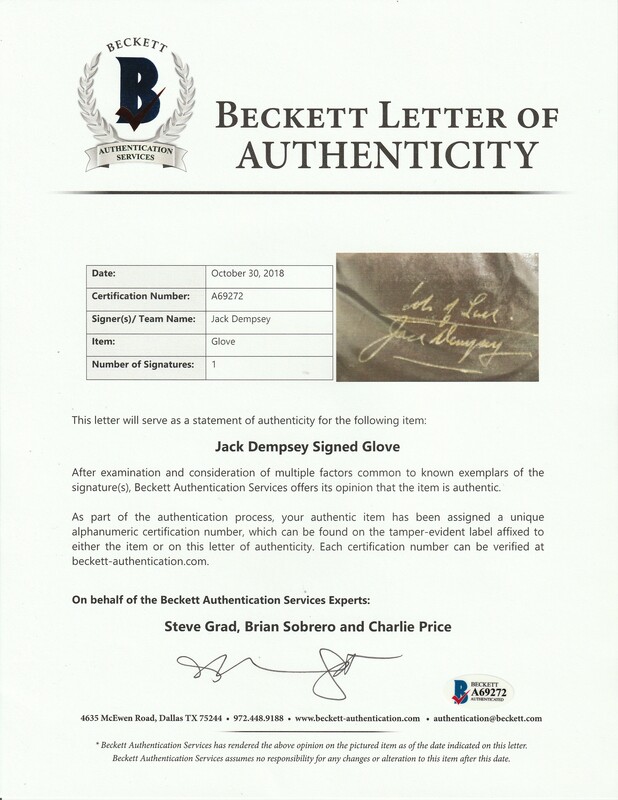 The signed glove coms with a LOA from Steve Grad of Beckett Authentication (A69272).